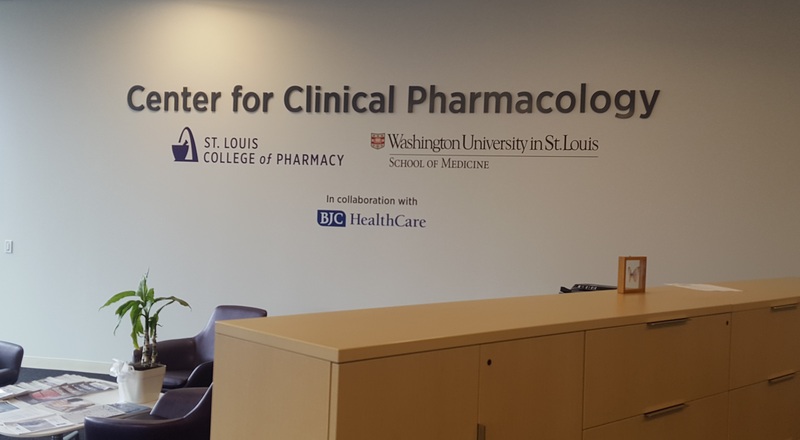 St. Louis College of Pharmacy and Washington University School of Medicine in St. Louis are joining forces to find better, safer and more effective ways to use prescription medications to improve health. Researchers from the two institutions are collaborating to create the Center for Clinical Pharmacology. The center’s initial focus will be on translational and clinical research to better understand and improve pain treatment. The new center will concentrate on how to best use existing drugs to treat pain, as well as on developing and identifying new analgesic drugs and other therapeutic approaches for pain. According to the Institute of Medicine’s 2011 report, “Relieving Pain in America,” about 100 million American adults are affected by chronic pain, which is more than the total affected by heart disease, cancer and diabetes combined. The report recommended better data gathering to define the scope of the pain problem, and it also recommended that health-care providers tailor pain care to each individual patient’s experience. Tailoring treatments to individual patients is one of the goals of the new center. The center’s five laboratories will occupy 12,000 square feet in St. Louis College of Pharmacy’s new Academic and Research Building at Taylor and Duncan Avenues. In addition to finding ways to better treat pain, the researchers at the center will try to prevent some of the problems associated with pain medications. Prescription opioid analgesics play a role in 17,000 deaths every year in the United States, about the same as the number of homicides annually across the country. In addition, several studies have estimated that societal costs attributable to prescription opioid abuse are more than $70 billion annually, including health-care costs, costs for lost productivity in the workplace and costs in the criminal justice system. The new director of the Center for Clinical Pharmacology will be Evan D. Kharasch, MD, PhD, the Russell D. and Mary B. Shelden Professor of Anesthesiology and professor of biochemistry and molecular biophysics at the School of Medicine. He has directed the anesthesiology department’s Division of Clinical and Translational Research since 2005, and he served as Washington University’s vice chancellor for research from 2009-2014. Also joining the center Oct. 1, as co-director is Karen Seibert, PhD. Seibert is a professor of pathology and immunology and of genetics and is the director of Genomics and Pathology Services (GPS) at the School of Medicine. Seibert also is associate director of shared services at the Siteman Cancer Center. She spent two decades in the pharmaceutical industry, most recently as vice president of research and development for the St. Louis Laboratories of Pfizer Inc. Faculty at the center will have academic appointments in both institutions. Three of the five laboratories that make up the new center will be led by researchers with primary appointments at St. Louis College of Pharmacy; the other two by faculty members with primary appointments at the School of Medicine. Although inadequately treated pain is a significant public health problem, so is the risk of addiction. The development of dependence on opioid painkillers can become a gateway to heroin and other drugs of abuse, Kharasch warned. And he stressed the importance of finding better pain treatments because for many people, long-term use of opioid drugs itself can become a health problem. Along with facilitating a partnership between the School of Medicine and St. Louis College of Pharmacy, Kharasch plans to involve local businesses, health-care leaders and medical care systems in the center’s research efforts.